Looking for the best kind of furniture can be the most amusing but also the most difficult of tasks. Things become all the more messy when your living room is tiny. You have to search for the furniture which easily fits in and does not look bulky in your small space. At the same time, you also have to care about the comfort of the room. Keeping such problems in mind, here are some tips and ideas which might guide you into having a wonderful living room. Plan – before you go for furniture shopping, you must have a careful look at your room. Identify how many spaces and corners can be used. Look at the length and width of the room so that you may fit in the right size of sofa. You can also look for space saving furniture like shelves and drawers which add style as well as comfort to the room. Try buying small coffee tables instead of big and bulky ones for the front of the sofa. All such ideas shall consume less space and make the room look bigger that it actually is. Use all your space – you must acknowledge that the lack of space is going to make you have less decorating options. 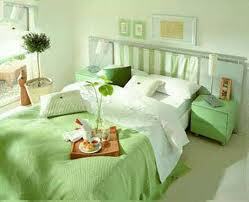 You cannot afford to buy extra or too much furniture and home décor to stylize your room. Keep the necessary items tact and make full use of the extra corners and usable spaces that you can have in the room. You can add tall lamps or long shelves to the corners to make the room look big. Fit in cute stools beside the sofa. They would add comfort and also won’t consume a lot of space. Add neutral colors – you cannot experiment with too many colors due to the space constraint. Try keeping a theme in the room which can be associated with each item. Usually light and dry colors look better in small rooms. This is because they reflect more light and make the room look less messy. Keep neutral colors in mind before you decorate. This shall extend limits and give a larger appearance to the room. A light colored sofa coupled with a glass table often looks great in small living rooms. 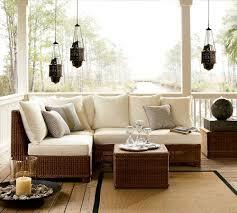 Keep it clean and basic – many people often make the mistake of adding too many items to their small living rooms. We understand that you want to add everything beautiful to your room, but with the space available it is ideally impossible to add extra furniture. Only add the basic necessities to your living room. A sofa, a table, small stools and a pair of side tables IF needed would be enough. If you want to decorate, try not to keep it all on the ground. You can look for hanging lamps, mirrors and shelves for giving a larger appearance to the room. Cleanliness is also important. It would help your room look tidy and cozy.